With high population growth rate, increase in industrial and commercial activities, high cost of imported energy fuels and higher GHGs emissions, supply of cheap and clean energy resources has become a challenge for the Jordanian Government. Consequently, the need for implementing renewable energy projects, especially solar, wind and biomass, has emerged as a national priority in recent years. Jordan has substantial biomass resources in the form of municipal solid wastes, sewage, industrial wastes and animal manure. 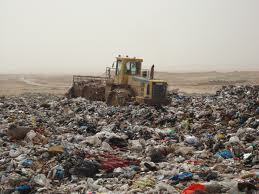 Municipal solid wastes represent the best source of biomass in Jordan. Solid waste generation in the country is approximately 2 million tons per annum, with per capita of almost 1 kg per day. The daily waste generation exceeds 6,000 tons which is characterized by high organic content (more than 50 percent). Food waste constitutes almost 60% of the total waste at most disposal sites. In addition, more than 2 million cubic meter of sewage sludge is generated every year from treatment of sewage water in Greater Amman area which could be a very good source for biogas generation. Organic wastes from slaughterhouse, vegetable market, hotels and restaurants. Animal manure, mainly from cows and chickens. Organic industrial wastes, either liquid or solid, are a good substrate for biogas generation by making use of anaerobic digestion process. Anaerobic digestion of organic industrial waste is fast gaining popularity worldwide as one of the best waste management method. The utilization of anaerobic digestion technology for industrial waste management would be a significant step in Jordan’s emergence as a renewable energy hub in the MENA region. Jordan is planning to implement 40-50 MW of waste-to-energy projects by 2020. The Government of Jordan, in collaboration with UNDP, GEF and the Danish Government, established 1MW biogas plant at Rusaifeh landfill near Amman in 1999. The plant has been successfully operating since its commissioning and has recently been increased to 4MW. The project consists of a system of twelve landfill gas wells and an anaerobic digestion plant based on 60 tons per day of organic wastes from hotels, restaurants and slaughterhouses in Amman. The successful installation of the biogas project has made it a role model in the entire region and several big cities are striving to replicate the model. Tagged Anaerobic digestion, Bioenergy, Biogas, Biogas in Jordan, Biogas Plant at Rusaifeh Landfill, Biomass, Biomass Energy, biomass energy in Jordan, Biomass in Jordan, Biomass Resources in Jordan, Industrial Wastes, Jordan, MENA, Municipal Wastes, organic wastes, Rusaifah Landfill, Solid Wastes in Jordan. Bookmark the permalink.